Social justice is one of our core values at Holy Covenant. We have a long, powerful history of involvement and leadership in the Civil Rights Movement, the Black Panthers, the Women’s Movement, and the movement for LGBTQIA rights. 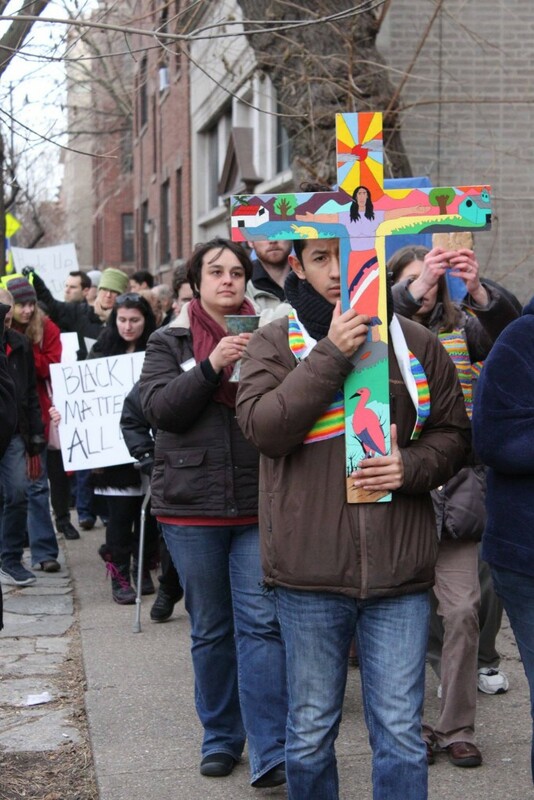 Today, our witness to social justice is lived out in partnership with other social justice groups like the Chicago Coalition of Welcoming Congregations, Community Renewal Society, and Chicago Religious Leadership Network on Latin America. To get involved, contact office@holycovenantumc.org.